On the heels of Apple’s Q4 FY2013 earnings report, the company saw more revenue coming from the Americas. But if you look at the year-over-year percentage changes, much of it comes from Asia, specifically Greater China (China, Hong Kong, and Taiwan) and Japan. In the past quarter, the company generated $5.733 billion in revenue from China and $3.341 billion from Japan. These numbers certainly pale in comparison to the Americas, which generated $13.941 billion. However, they are both increases from the past quarter with a sequential change of 24 percent for China and 31 percent for Japan. But when you look at the year-over-year growth, it’s 6 percent and 41 percent, respectively. Company CEO Tim Cook addressed this during Apple’s earnings call whereby he said that the company was able to grow its relationships with the government and carriers in China. For the full year, the greater China region generated $27 billion in revenue, a 14 percent increase — something that Cook highlights that the company has a reasonable size business in the country. 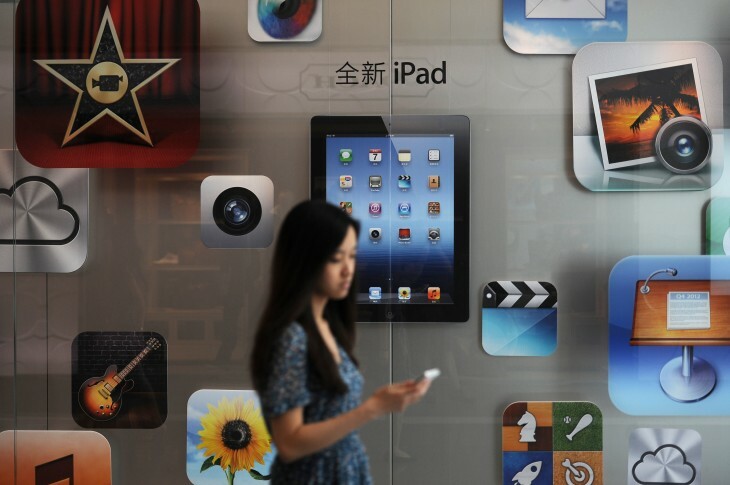 The 6 percent year-over-year change in the country was precipitated by the late introduction of the iPad a year ago. However, Cook says that Apple is investing in stores, distribution, and is already seeing a 50 percent increase in sales on the iPhone. The company is also planning on growing further in the country by opening stores in other cities — previously it was only focused on large cities in China. Not anymore.